Mosaics in the Ancient World” offers the opportunity to explore an ancient site in the Mediterranean world through the Byzantine period. 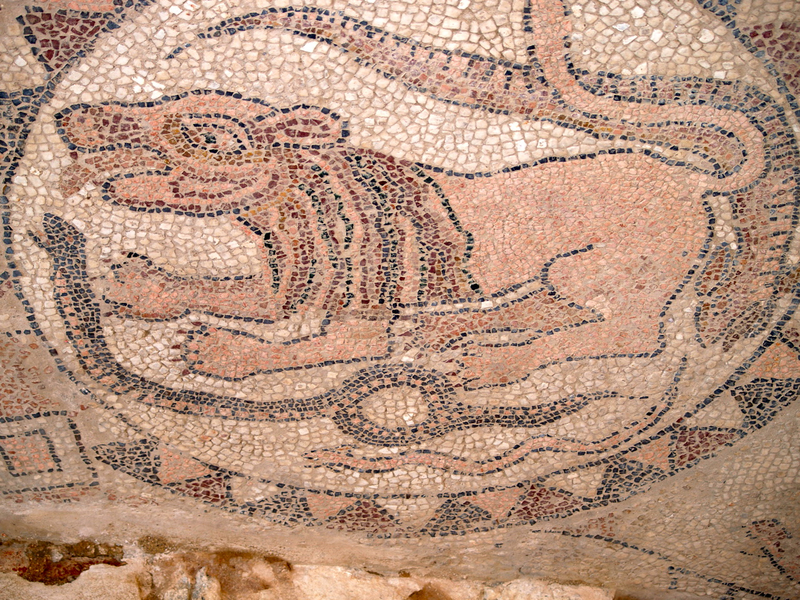 In each site mosaics play a prominent role. Each student will chose a site and will do research on the history of the site and will choose images of mosaics from that site to share with the class. Students will learn about the types of mosaic techniques (opera -- from opus) and will describe the opera used in two of their chosen images. In addition, each student will have the pleasure of making his/her own mosaic, choosing from a variety of materials. The student will also share his/her mosaic with the class. 1. Library research component: You must go the library and peruse and use the materials during the period from Monday, March 11 through Friday, April 5. 2. Prepare a Power Point You should have from nine to twelve slides. Use only short words and phrases and be prepared to tell about your research in your own words. 3. You will make a mosaic (4” x4” minimum) of your choice. 4. The project will be due on Wednesday, April 10th. Your mosaic is due on the same day.